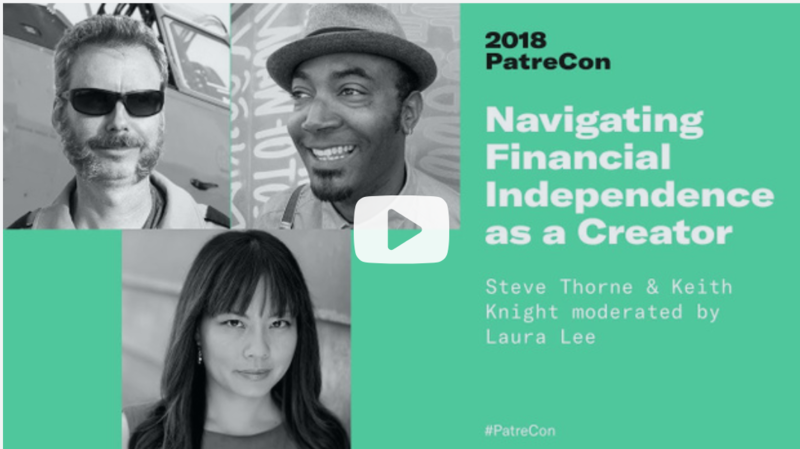 In this video, watch Steve “Flight Chops” Thorne and Keith Knight get interviewed by Laura Lee on the topic of financial independence during this talk at PatreCon 2018, an annual conference for Patreon creators and supporters. I am just back from a bunch of back to back travel that included being invited to speak on the main stage at PatreCon in L.A.! [My Patreon Supporters] are the “Majority Share holder” of Flight Chops, and I made thanking you for that awesome pillar of support, a theme in the discussion about sustainability as a content creator. It was a great event and I learned a lot brainstorming with hundreds of fellow creators there. My travel and accommodation costs were covered, so I got great extra value filming some material about flying in that airspace while I was in California – I figure I’m coming home with 3-4 episodes worth of content from that trip!